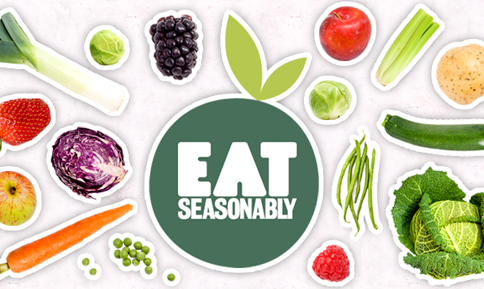 Providing your family with food made with fresh ingredients, such as seasonal produce, not only requires little effort but also ensures your family consumes the healthiest ingredients possible. These seasonal recipes for spring will inspire you to choose local and/or organic produce when preparing meals for the family. When it comes to which fruits and vegetables are in season, growing seasons and crop availability will vary depending on your region. In warmer areas, seasons start earlier and last longer while in colder areas harvest times start later and tend to end sooner. Why should you buy seasonal fruits and vegetables? More cost effective: When produce is in season locally, the abundance of a specific crop usually makes it less expensive. Optimal flavour: Locally grown produce is fresher and more flavourful than produce that is chilled and shipped. Produce that is not in season is picked when it is still immature, which causes nutrient loss and greatly affects the overall flavour. Freshness: Seasonal fruits and veggies are picked at the ideal ripeness and are therefore more flavourful. Local means less pesticides: Produce that is shipped contains higher levels of residual pesticides. You can easily find out which produce is in season in your area by looking for local produce in your grocery store or by visiting farmer’s markets. 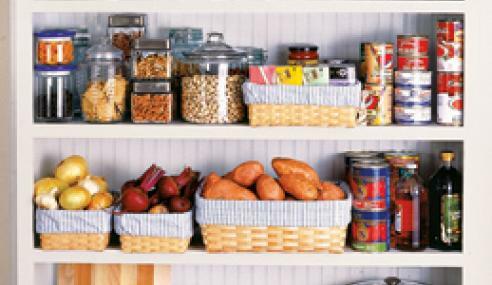 Besides, offering more flavourful foods to baby and the family, eating in-season produce is an effortless way to save money on groceries. Asparagus is an excellent source of folate, vitamins K and B1, as well as chromium, a trace mineral that enhances the ability of insulin to transport glucose from the bloodstream into cells. Blueberries are one of the highest antioxidant-rich fruits. 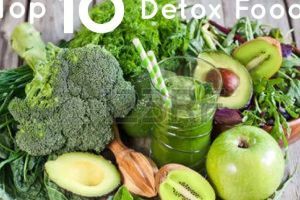 Antioxidants are essential to in optimizing health by helping to combat the free radicals that can damage cells. They are a very good source of vitamin K, vitamin C, fiber, and manganese. 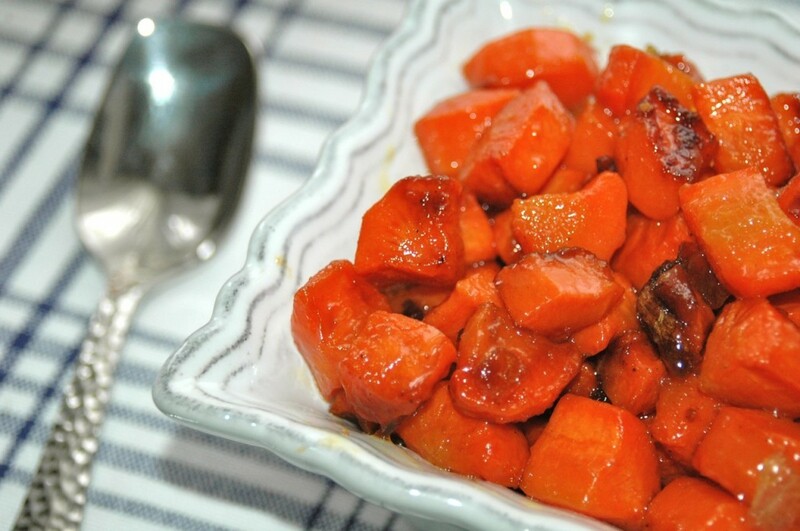 Carrots are a crunchy powerfood, loaded with healthy benefits, most notably beta-carotene, which is converted to vitamin A in the liver and promotes healthier skin and better vision. Spinach is a low-calorie, nutrient-dense food high in phytonutrients, vitamins and minerals, such as vitamins K, A, and C. Due to its high iron content it’s an ideal food for babies who don’t eat meat. Peas are high in fiber and protein and have strong anti-inflammatory properties. 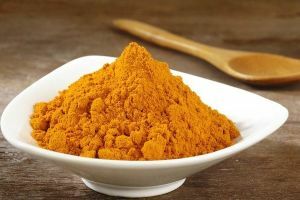 They are a good source of vitamins A and E and also contain a variety of immune-boosting antioxidants. Strawberries are low in calories, high in fiber and contain a ton of antioxidants. 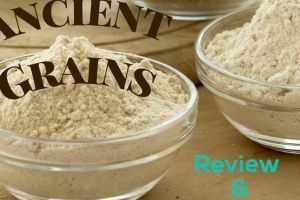 They are a great source of magnesium, potassium, and vitamin K, all of which promote bone health. They also contain biotin, a B-vitamin that helps build strong hair and nails. They are expensive in Italy as well! I really missed them while I lived there, lol! Oh NOTHING beats fresh strawberries! I tend to forget that some of these are seasonal because I buy them frozen. I do, actually! However, they do taste best when the produce is in season! Yummy! 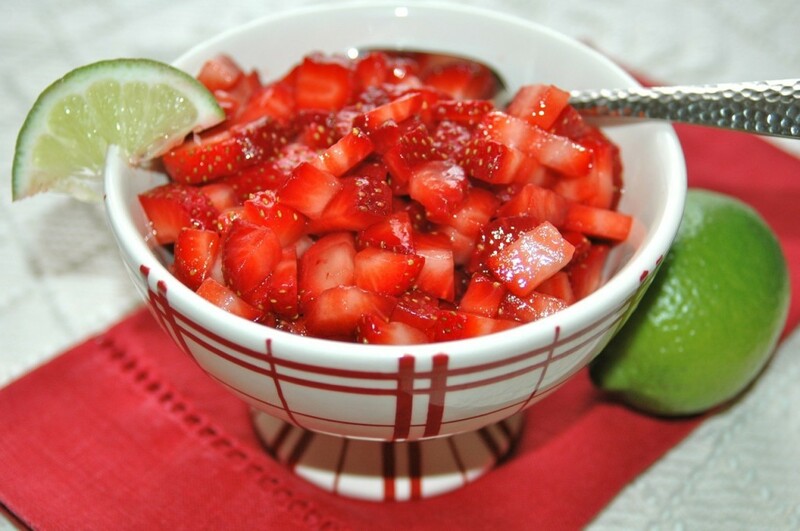 Those lime macerated strawberries look fabulous! That pea risotto looks great too. We love those strawberries! We enjoy them as is but sometimes when I have guests over for dinner I’ll serve them as a garnish over cake! These are great! Spring is my favorite season and I can’t wait to get fresh asparagus again. Strawberries are on season now and we love them! I also try to enjoy tomatoes this time of year! Me too! I never eat tomatoes during the winter but when I visit my in-laws in Italy during the summer, I will literally eat tomatoes EVERY day! Thank you for sharing your recipes perfect for te season. I also buy fruits and vegetables thta are in season because they come in cheap. Super important and always more delicious! In season produce is the way to go! Great advice and recipe ideas! Everything on this post looks so delicious!! Buying in season is definitely the best way to get the freshest produce and the most bang for your buck. Well, that makes sense…now that you know what you’re missing, lol! All these sound great for spring. I particularly like the sound of the lime macerated strawberries. Yum! That’s actually my all-time favourite way to prepare them! They are a must-try!! I try to buy seasonal fruits and veggies. They taste better and are better for my wallet. It’s so hard to get anything in season here in the UK since the weather is so annoying. We do get lovely raspberries though! I lived in England for two years…I don’t remember not being able to find seasonal fruit. Having said that, I don’t think I was such a foodie back then either, so I probably didn’t take notice, lol! We save money by buying produce in season. I get a little sad when my favorites are not in season, like cherries. I miss them the rest of the year and when they are back in season I eat as many as I can lol. I feel the same way…it’s almost like you have to overdose on seasonal veggies, simply because you can’t get them for the rest of the year, lol! 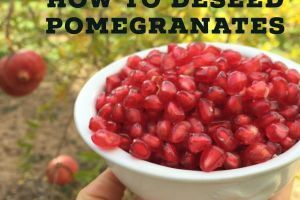 I never thought of all the benefits of buying in-season fruits and veggies – I just thought the only advantage was that it tasted better. One of my favorites are ripe strawberries, the sight and smell of them are just as satisfying as the taste. There are so many advantages to buying in-season! I love berries in so many things. I like to buy them frozen for my smoothies. I’m a huge fan of berries and I have got some beauties so far this year!! I’m not much of a berry person unlike the hubs but I love all those vegetables that you’ve mentioned. And I always prefer to use fresh produce over frozen ones. You actually sounds like my husband! Growing up in Italy he didn’t eat berries very often so he doesn’t get our fascination with them, lol! I love when I can go to the farmer’s market and buy fresh produce. I’m also looking forward to starting my own garden in my backyard. My youngest absolutely loves spinach. I love that we’re finally getting to the season of fresh, in season produce. It’s my favorite time of the year! You are so right! I love fresh seasonal fruits and veggies. Here in Florida, both of these are priced right during the season. You can usually get a better deal at the market. Last year I grew my own tomatoes that they were the best. Can’t wait for this year. Growing your own produce is always the best option…I wish I had that option at home! Huge strawberry fan here! I can’t wait to try some of these! We seem to have carrots here all the time, lol. I agree with purchasing fruits, veggies in season because they really come out cheaper. My family loves strawberries but it doesn’t really grow in most parts of my country so when they’re in season, my Mom hoards a lot of strawberries. The photos on this post all look soooo good. these recipes are all so awesome! I’m bookmarking this for later! Thanks!! I’m always excited for Spring because of it means berries season too! I can’t wait to make my favorite smoothies and desserts! I’ll be honest, I had no idea carrots and peas were seasonal. I definitely knew about the strawberries, I always make sure to stock up around the house since we eat them so many different ways. I was surprised too…it really does depend on the region you are from. Apprently carrots can be harvested into the spring too! I would love a nice potato frittata, it’s one of my favorite things to eat! perfect fruit smoothie in mind! It’s funny because I love smoothies yet I hardly ever make them during the winter months! I can’t wait to start making them now! 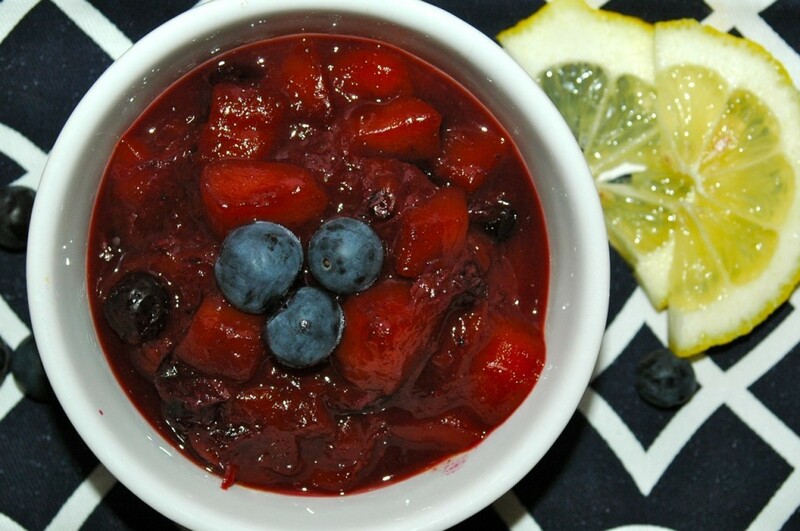 I love all this recipe for spring but I love the most is the blueberry mango compote, you’re recipes looks very yummy and healthy at the same time. There’s just nothing like fresh, in season fruits and veggies. I can’t wait to check out the farmers’ markets! All looks so good to try and I would love to try the Asparagus Potato Frittata.Spring makes my day happier were I can enjoy more days in my my backyard. Strawberries are the absolute best. I always look forward to our strawberry stands opening and buying a huge box. Everything looks delicious but I want to try the Shrimp Sweet Pea Risoto. That is something my family would enjoy., Off to check the recipe. Awesome! 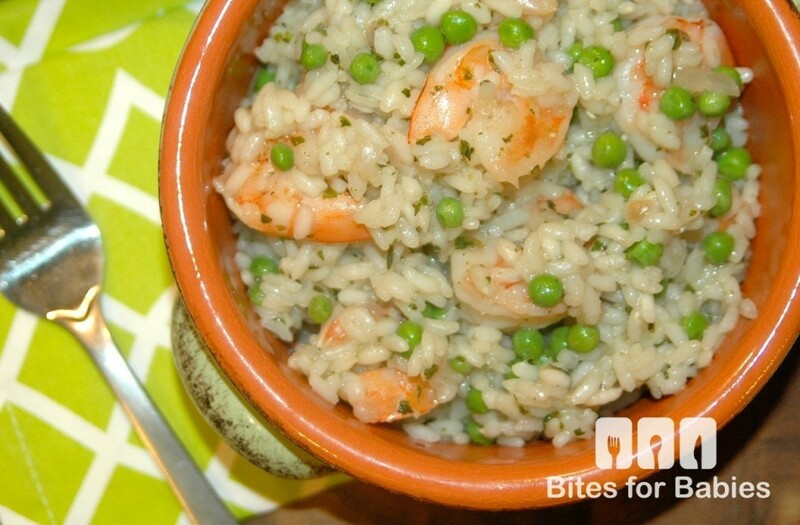 It’s really flavourful and the shrimp and peas are a great combo! It’s strawberry season right now and we are all about it! We love using seasonal fruit and veggies when we can! The photography is beautiful and such great info. We grow our own food and when my babies were small I made my own baby food to make sure they were getting the right nutrition. That’s so great! It’s so important to start our children off in the healthiest way possible. These all look soo good! 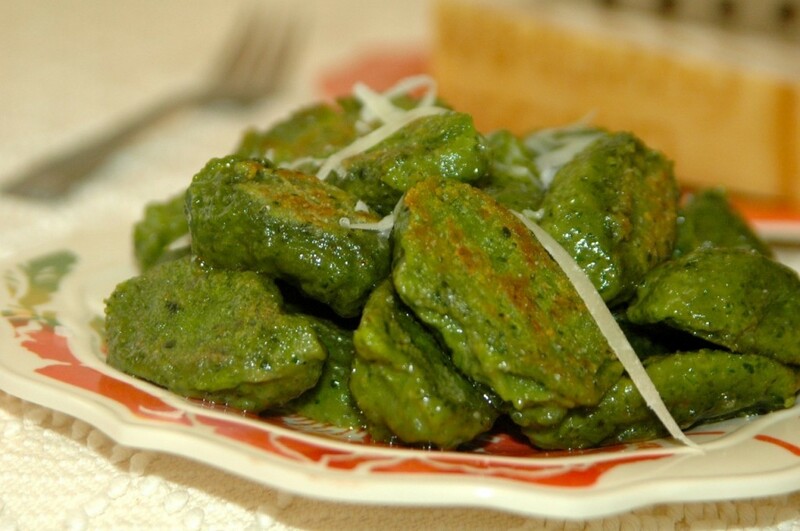 Especially the spinach ricotta gnocchi and the asparagus potato frittatas! Thanks for the recipes! You’d be surprised at how easy they are to make too! All of the above dishes looks so tasty. I always like finding new dishes to try. My favorite is vegetable dishes that are spicy. I love the idea of spice but I just can’t handle it, lol! I try to spice up recipes but I only do so to a certain extent…my tolerance is extremely low! That’s awesome…kudos to you guys! I can’t wait until strawberries and mangoes are back in season. I could eat those all day long. Me too…but my all-time fave is watermelon! Some very health choices, I love eating healthy, it makes me feel good about the decision I make. The pics of the food are awesome. I actually feel so better knowing that I’m eating healthy food! Tonight I made a last-minute meal with quinoa, spinach, boiled eggs, and pepitas…sounds kind of weird but I loved it and it TASTED so healthy! I love to buying everything in season whenever possible. It tastes better, and the quality is far superior. Thank you! I hope you try some of these! Thanks for sharing these great recipes. One of my favorite things to do is ring in every season with a tasty seasonal recipe, and these look delicious. I always eat fruits and vegetables in season. We have a local farmer that grows them organic. Eating seasonal IS the best way to go. I’m enjoying asparagus right now. I always look forward to summer and watermelon season. I also love watermelon! I think I eat half a watermelon a day during the summer months. weather, but the seasonal dishes too! Some of the best foods for you also taste amazing! I’m reading this and so wanting strawberries. The compote looks nice too. I don’t think I’ve ever tasted one! It’s much like a jam…just prepared a little differently. It’s actually quite easy-just boil fruit with water until thick! I also was thinking about how much work goes into getting us our seasonal fruit that we take for granted. It’s amazing if you really consider it. I love those foods thanks for sharing wonderful recipe. I love all of the aforementioned, especially blueberries. Simply can’t get enough of them! Me too!! You should check out my recipe for blueberry chia jam on the Blog! I love Spring and Summer veggies and I can’t wait to buy and grow them. Those recipes look totally delicious! I like ALL veggies, lol! I actually can’t wait to stay with my in-laws this summer…they grow just about everything! These recipes sound amazing! My kids love strawberries and can’t wait for the season to start. We love them too…they usually go into parfaits or are made into homemade chia jam. The recipe for the lime agave macerated strawberries makes them seem so much more decadent and dessert-like! All of these recipes look AMAZING! I think we would love the pea risotto the best, because my boys have NEVER met a carb they didn’t like. Just like their mama! Thanks! You should watch for the recipe I made today then; spring risotto with zucchini, capers, asparagus, and peas! I’ll be posting it in the next few weeks! These look like really good recipes. I love when Spring time rolls around and when I can visit the local farm stands and start my garden. Me too…I love knowing that the ingredients I cook with are fresh and local! All of this looks amazing! I dont think I am planting my garden this year because we are planning to move and dont want to waste are garden efforts. So, I am thinking of doing some containers and I can take those with me. That sounds like a good idea! I don’t have my own garden but I know the work it takes to keep it up! That’s too bad…whereabouts do you live? I feel blessed to live in a place where healthy options are readily available. Thank you so much for sharing, what great tips. 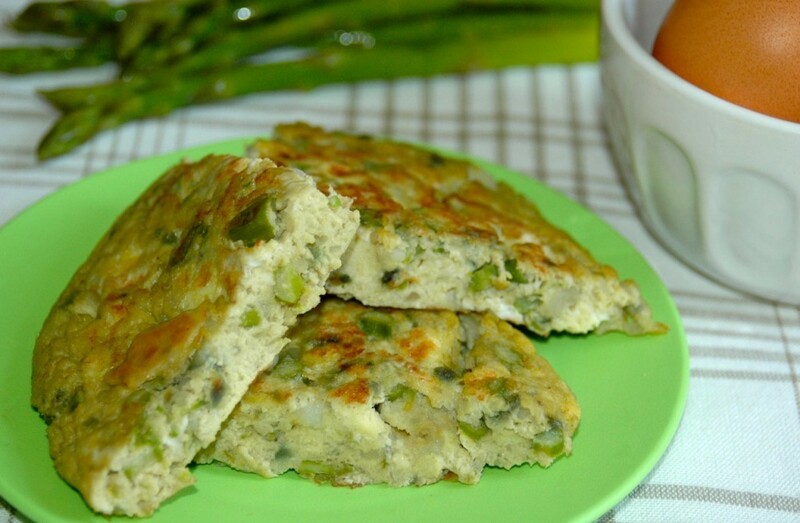 That Asparagus Potato Frittata looks out of this world amazing. I’d love to try to make some. No problem…I’m happy to know you appreciate the tips! Have you tried making frittata before? I love the combo of asparagus and potato! This post excites me for spring eating! I am participating in a CSA this spring, and look forward to trying some different fruits and veggies. That’s great! I’ve been wanting to do that. You’ll definitely notice the difference in the quality of the produce! Berries are only seasonal here for about a month, so we have to get them from elsewhere if we want them.